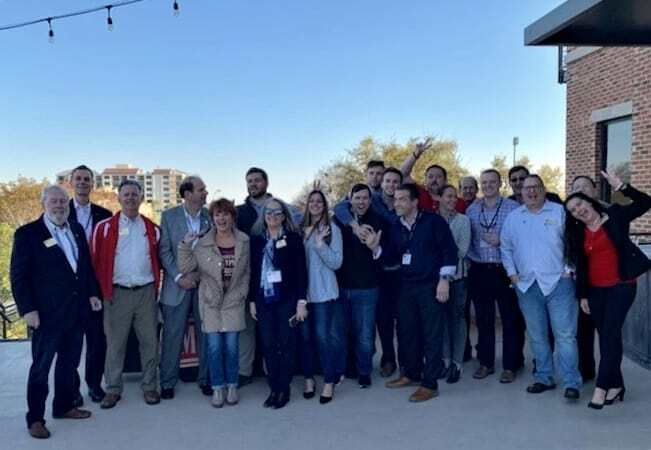 The Panhandle District of the CCIM FL Chapter hosted twenty six students at the CI 101 course in early March. Pius Leung, Bill Moss, and Richard Slayton taught the course at the Pensacola Board of Realtors headquarters. The course focuses on the fundamentals of including NOI, NPV, Time Value of Money, Cash Flows before and after tax, and many other aspects of the CCIM knowledge base. Made up mostly of local commercial real estate practitioners, this student body also included professionals from Texas, Louisiana and Florida’s Jacksonville area. The students took a break from their studies on Tuesday night on Beck Partner’s entertainment deck where they enjoyed shrimp and mullet prepared by Joe Patti’s Seafood and an open bar. The social was generously sponsored by REAL NEX’s Executive Chairman Mark Kingston. “The majority of the students indicated a strong desire to pursue the CCIM Pin and to become the basis of a newly reinvigorated Panhandle District under the leadership of Panhandle District President David Monroe,” reports Rick Gonzalez, CCIM, ALC, MSc of Crosby & Associates, Inc. Gonzalez is serving as the 2019 Vice President of Education for the Florida CCIM Chapter.